In case you’re wondering what you are looking at, it’s castles on giant snails that are racing around a track. Snails aren’t the speediest of animals, so the racers need to build the castles to live in while the snails every so slowly make their way around the track. 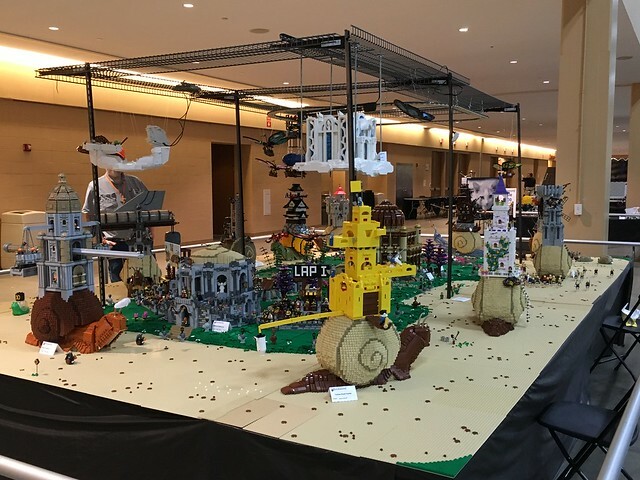 We won best group layout and Hinckley, who designed the snail, won best creature. My snail had a sweet tooth, hence the liquorice all sorts to motivate him forward. I appreciate that I’m quite slack when it comes to taking photos at BrickWorld, but Hinckley and RedCoKid both took lots of awesome shots. 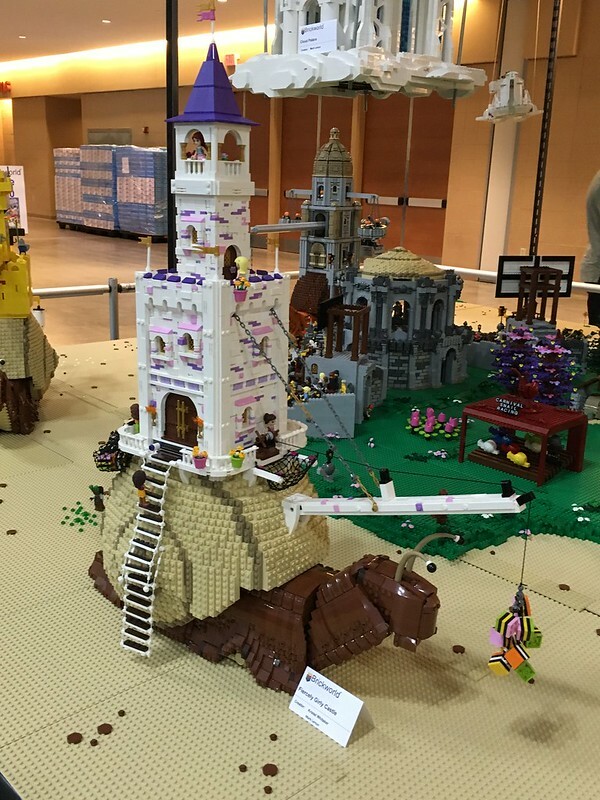 Make sure you check out RedCoKid’s Mollusk Mosque, which was also part of the layout. I had a blast again this year and am looking forward to next year already! In addition to my individual layout at BrickWorld, I also took part in the Eurobricks collaborative sci-fi display, Brascero Cuspeki Prime. The theme of the collaborative display took me well and truly out of my comfort zone, and I had some initial reservations about it. 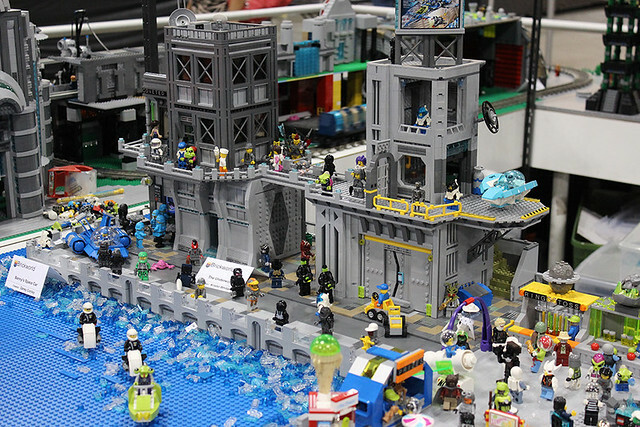 However, thanks to everyone involved, being part of the collaboration ended up being one of the highlights of BrickWorld for me. And I can’t wait to do it all again! My contribution to the layout was “The Underworld”, as it was inspired by scenes from the Coruscant underworld. On the bottom left of the above image you can see part of CorneliusMurdoch’s carnival section, which can only be described as way too cute! The collaborative layout also included the Hickley’s train station and ooze refinery with monorail (!!! ), GetdaMonkey’s space port, and Rogue Angel’s Uber mining corp platform and asteroid. There were lot more contributors but I won’t name them all as I am sure to miss someone! There were also a range of spacecraft and a couple of structures hanging by fishing line above the tables. There were a few anxious moments while Cecilie’s restaurant was being hung above my section of the layout. Fortunately, nothing came crashing down during the course of the event despite a few accidental bumps against the tables. Credit for the above images goes to Hinckley. 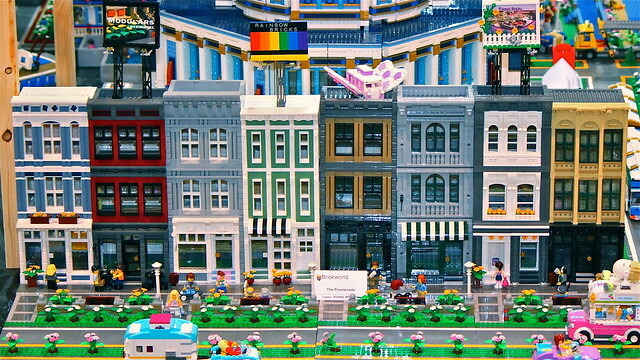 You can find lots more shots of the Eurobricks collaboration in his Flickr stream. 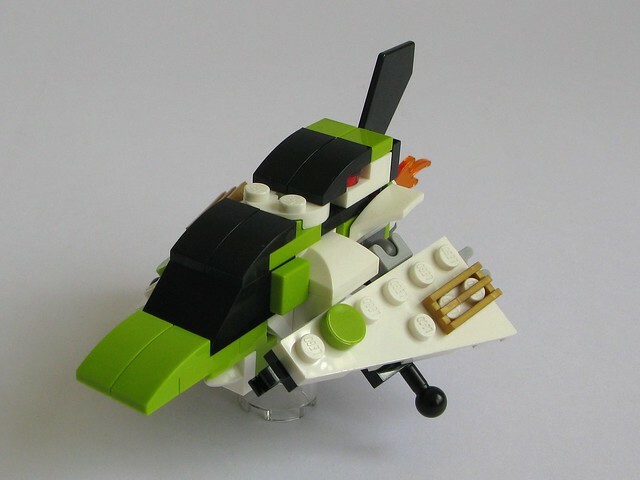 This little starfighter was the result of a challenge posed by Eurobricks member Rolli (Markus). Instructions can be found here. I am currently practising the ancient art of procrastination. 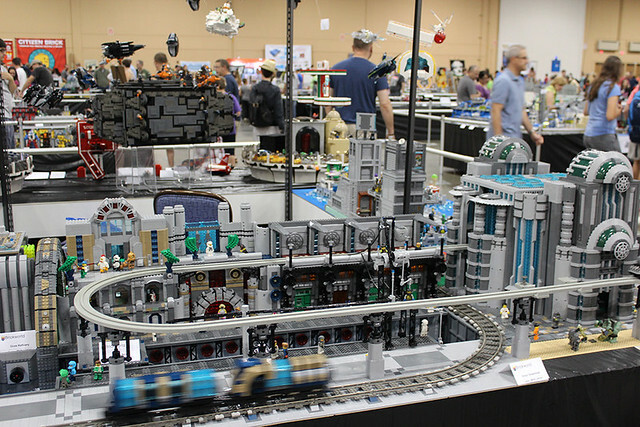 In just over a week I will be making my way to the airport to jump on a plane headed for Chicago for Brickworld 2015. This means that I really should be packing up my two layouts. Instead, I am finding any excuse to avoid it. The reason is simple – once it’s packed, that’s it. No last minute finishing touches. 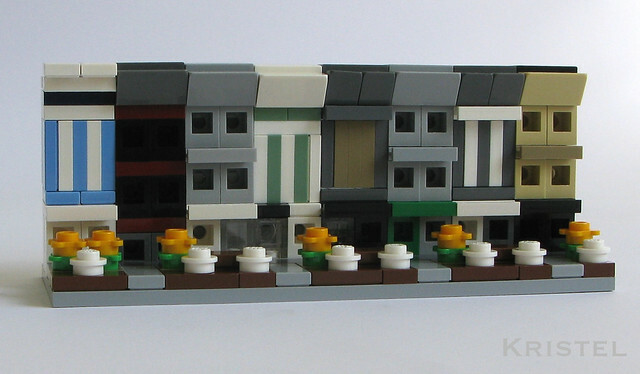 Here is one of the things I have been doing instead of packing – it’s a micro scale version of one of the layouts for BrickWorld, The Promenade. The Promenade includes a mix of old, remodelled and new buildings and I can’t wait to show them to you! The other layout I am involved in the EuroBricks one, which has taken me a little way out of my comfort zone. No sneak previews of this one, but I am bringing a little starfighter!